We study the leave-one-out and generalization errors of voting combinations of learning machines. A special case considered is a variant of bagging. 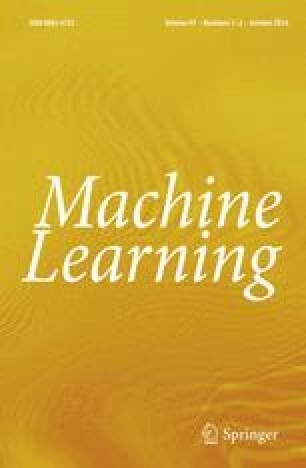 We analyze in detail combinations of kernel machines, such as support vector machines, and present theoretical estimates of their leave-one-out error. We also derive novel bounds on the stability of combinations of any classifiers. These bounds can be used to formally show that, for example, bagging increases the stability of unstable learning machines. We report experiments supporting the theoretical findings.